After giving preliminary notions on the biomass gasification process and the various steps involved, some examples of the main reactions taking place during gasification of biomass are listed with thermodynamic data. 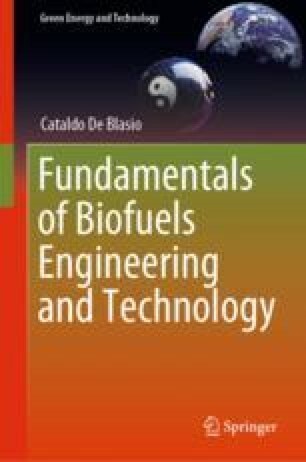 The main focus of this chapter is on the supercritical water gasification of biomass, a process where the author of this manuscript has experience. The SCWG process is explained with its conditions and the change of thermodynamic properties of supercritical water. Some related issues of thermodynamic analysis are given along with the main mechanisms of reaction at supercritical conditions. Notions of catalysis are described with the support of the literature references, and the role of salts and inorganics is explained further with the description of the plugging problems involved. The chapter ends with a small description of the production of ethanol from syngas. Susumu Tonegawa, Nobel Prize in Medicine in 1087. Mitsubishi Heavy Industries. (2019). Gasification process | mitsubishi heavy industries environmental & chemical engineering [WWW Document]. URL https://www.mhiec.co.jp/en/products/recycle/city/meltingsystem/contents/gasification.html. Accessed January 24, 19.